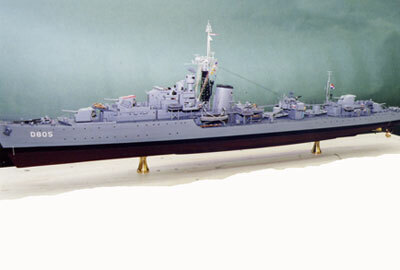 This is an RN S Class Destroyer HMS SERAPIS given to the Royal Netherlands Navy after the War and renamed Piet Hein. 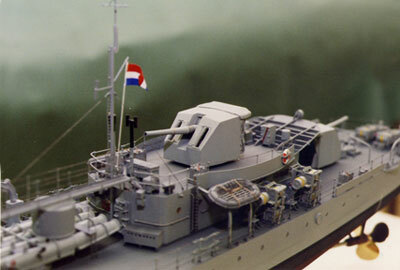 It was used by the Netherlands Navy in the Korean War. 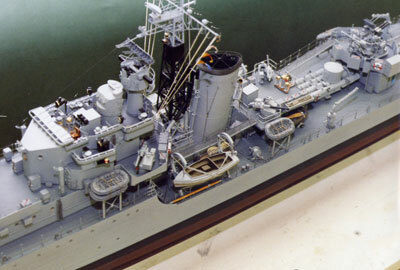 SERAPIS was built by Scott & Co. Greenock in 1943. 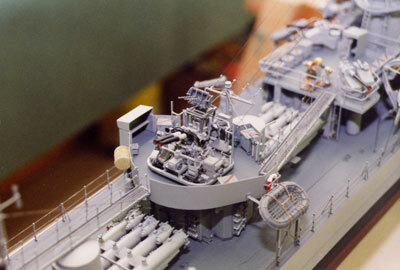 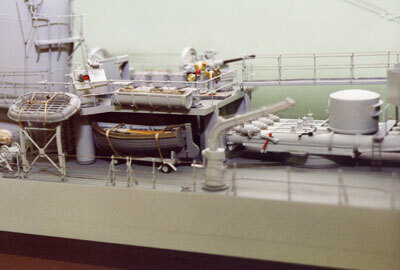 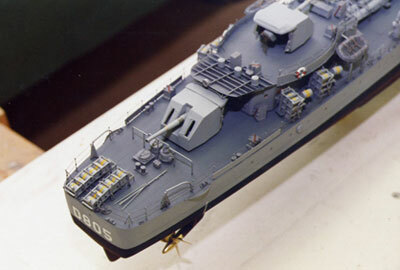 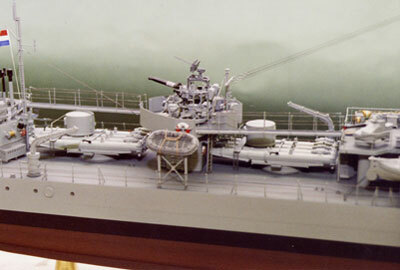 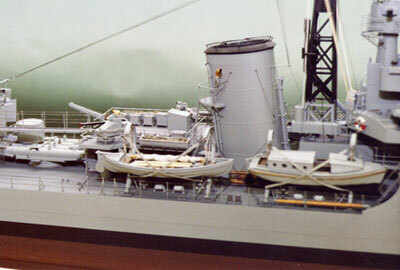 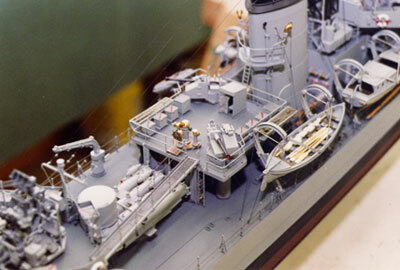 The Model represents the ship in 1952 and is to a scale 1/96. 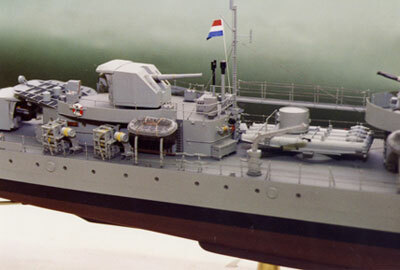 The model was built for the Scheepvaartmuseum, Amsterdam, where it can be seen, and took five months to build.